Known for its wide range of color cosmetics and classic fragrances, the Elizabeth Arden line also includes a collection of high-quality skin care products for the face. 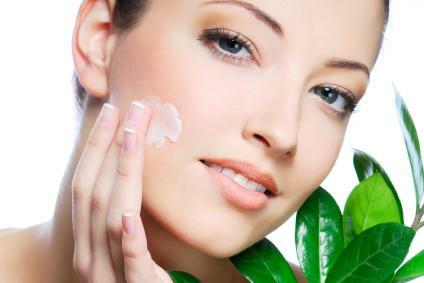 There is something for everyone in this vast group of moisturizers, cleansers and treatments. Company founder Elizabeth Arden was born and raised in Canada in the late 1800s. Born Florence Nightingale Graham, she was educated as a nurse. During her nursing career, she found herself drawn towards cosmetic uses for traditional medical products. Soon, the young nurse began creating her own cosmetic creams. At age 30, Florence moved to New York to pursue her cosmetic interests. She worked in a beauty parlor and became well versed in beauty and relaxation treatments. In 1910, 32-year-old Florence changed her name and opened a red-doored beauty parlor on high-end Fifth Avenue. Today, that red door is recognizable as the classic symbol of Elizabeth Arden. The company has expanded well beyond its Fifth Avenue locale, and now serves customers on a global scale. Elizabeth Arden remains committed to its founder's vision, and strives to offer cutting-edge products for women of all ages. Elizabeth Arden products are available in department stores, on the Internet and in high-end boutiques. The company also operates many spas and salons, all with the goal of making women feel beautiful, stylish, and powerful. Efficiency Effort 2-in-1 cleanser/toner is a combination product that multi-tasks for customers who are short on time. Time Machine is an intensive anti aging lotion that contains apple extract, vitamin A, and vitamin C. It is designed to combat the signs of aging, including fine lines, wrinkles, and loss of firmness. The product promises immediate improvement. Unplugged is a mask designed to clean clogged pores and exfoliate dead skin. Beauty Sleep is a beauty cream designed to be used overnight. With consistent usage, customers should experience smoother, softer, more hydrated skin and a rested appearance. Ceramide Firm Lift. This anti aging lotion combines apple extracts and vitamin C to improve the skin's resilience and firmness, and to reduce dark spots. Find it at FragranceEx. Ceramide-C Age and Wrinkle Defying. These moisturizing capsules combine ceramide with vitamins A and E to slows the signs of aging on the neck, hands, and face. For a complete list of authorized retailers, visit the site. Elizabeth Arden is a trusted name in beauty. Whether your goal is to combat the early signs of aging, hydrate parched skin or simply step up your skin care routine, you can be confident in the products' abilities to meet your needs.